The Tabu Lounge and Sports Bar will move from its current location in the Gayborhood to much-larger quarters at 254 S. 12th St., the current home of iCandy, above. Tabu Lounge and Sports Bar told its employees for the first time on Tuesday night that the popular gay sports bar will move out of its current home in the Gayborhood. The bar will relocate from its current location at 200 S. 12th St. to much-larger quarters down the street at 254 S. 12th St., the current home of iCandy. If the deal goes through as planned, in the next few weeks, Tabu will officially own the building where Darryl DePiano has owned and operated iCandyfor the past eight years. iCandy, which will continue operation until about Sept. 24, will cease operations when Tabu officially takes over, renovates and reopens the space under its gay sports bar brand name. Jeffery Sotland, one of the owners of Tabu, which opened in the Gayborhood in 2010, said he and his partners are eager to make the move. “We are planning to shut doors [of Tabu] at midnight on Sept. 23,” said Sotland, “and be open for business [in the former iCandy space] by the 24th. Tabu will move from its two-story, 3,500-square-foot space to 12,000 square feet on three levels including a roof deck. For iCandy, it means closing doors after several tumultuous years, rife with controversy and criticism. DePiano, who has faced an uphill battle after a video went viral two years ago of him using the N-word to describe customers of color, sat down exclusively with PhillyVoice to set the record straight about the impending sale. Does the Philly theater community have a race problem? DePiano confirmed that he’s selling iCandy’s building – and not the business – to Stephen Carlino, at Sotland partner at Tabu who also owns popular Gayborhood watering holes Tavern on Camac and UBar, and Otto’s Taproom in Brewerytown. The building where the nightclub is housed has a fabled history for the LGBTQ community, including being home to popular gay bars over the years like 12th Air Command and Equus. Both DePiano and Tabu will maintain their own liquor licenses through the sale. And if the deal goes as planned in the next few weeks, Tabu will transfer its liquor license to the iCandy building pending sale while DePiano continues operating his club until the official closing after Labor Day. He says he plans to host his annual White Party Labor Day Weekend as planned. And he admits he’ll miss his longtime customers. “I’ll still have the liquor license in Philly,” said DePiano, who has owned and operated eight different nightclubs during his more than 30-year career. He said he’s putting the iCandy license into “safe keeping” and looking into potential business options in Florida. On Monday during happy hour at iCandy, DePiano greeted his regulars like he usually does, making his way from his upstairs office into the bar. As about a dozen or so men and women watched highlights from the World Cup, DePiano admitted that Sotland and his business partners first contacted him about a year ago to buy the building. Sotland confirmed this, and said that Tabu was first prompted to make a move for two reasons: It had outgrown its space and New York City developer Midwood Management Corp. had already bought the 12th Street Gym with its 25 tenants for development. When the longtime gym was sold, Tabu got word that the building it has rented for the past eight years would be torn down. Dating back to the early 1900s, the building has had its share of challenges, said Sotland. “We grew out of the space,” he explained. He and his partners had initially set out to ultimately find a bigger space in the Gayborhood that they could purchase rather than rent. DePiano, meanwhile, entertained six different offers to buy iCandy over the years. And he turned all of them down. “We’re not selling because we have to sell,” DePiano said, adding that he couldn’t turn down this deal, which he described as a lucrative cash offer. Neither party would comment on details about the sale price. The new Tabu is expected to feature a few different additions to the gay sports bar experience. Sotland said for starters more flat-screen TVs and a new sound system will be added, along with cosmetic changes. The back bar, he said, will be used for private events. He said that there will never be a cover charge to get into the downstairs bar, which will be operate from lunch until 2 a.m.
Tabu will continue serving food, though Sotland admits the menu will be edited (not everything being made now will translate to the smaller kitchen). But the most popular dishes – like tater tots and wings – will stay on the menu. He anticipates a lot of finger food. On the second level, the dance floor will eventually feature rotating DJs that hark back to popular First Fridays at Shampoo with club and '80s playlists. A $5 cover will be in place upstairs on DJ nights. The third floor will become Tabu’s new performance space. A stage will be built for live shows several nights a week – everything from drag shows to burlesque. Sotland anticipates being able to host much bigger shows than the current second floor performance space at Tabu. Many community groups are simply too large and attract too many people to safely fit into Tabu, said Sotland said, adding that the new location with its additional square footage and space can be customized for different events at the same time, something impossible in the current building. Eventually, he said, Tabu will launch balls (like a '70s and '80s ball) as well as host nonprofit, community and sporting events. “We want to bring more people together,” he says, and will be working closely with the Office of LGBTQ Affairs to make inroads with diverse groups. “The roof deck will be opened year round,” he added, with renovations to make the deck all weather. Amber Hikes, executive director of the Office of LGBTQ Affairs, told PhillyVoice exclusively that change in ownership at iCandy signals progress for many in the Gayborhood after a few years of challenges. Though DePiano said he has since moved on from the viral video scandal that ultimately made him a community pariah, it has dogged the community in other ways. Activist groups like the Black and Brown Workers Collective have targeted DePiano and iCandy with boycotts (at one point they stormed the bar and chanted) and performers who appeared there have been criticized online. The incident also inspired a series of community conversations and investigations into how LGBTQ establishments treat people of color. As the sale moves forward, Hikes said these issues are naturally on the minds of many people of color and anti-discrimination allies in the LGBTQ community. Hikes attributes much of this positive change to the “enduring work” of community members, activists and organizations who have insisted on accountability during the height of the iCandy scandal. 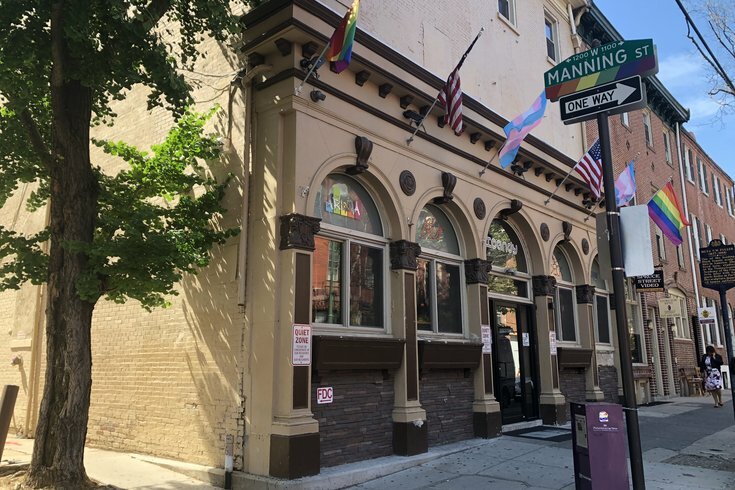 Even the Pennsylvania Commission on Human Relations (PCHR) instituted diversity training for all LGBTQ bars and select organizations in Philly last year, and to much success, according to a summary made public a year later by Hikes and PCHR’s director Rue Landau. “I'm looking forward to seeing how this transition will play out for our evolving, dynamic community,” Hikes said. For example, Tabu will continue to support the local drag community behind the scenes. Unbeknownst to many Tabu has opened its doors for years to allow drag queens and other performers to rehearse in the space even if they performed at other venues. That will not change, Sotland said. Earlier Tuesday evening, employees of Tabu learned about the impending sale for the first time during a full staff meeting. At 8 p.m., bartenders and other staff gathered to hear the news. When Sotland dispelled rumors and shared the news, there were audible gasps. One bartender placed his hands over his face in complete shock. Another asked when this was happening. Sotland announced that employees will have the opportunity to apply for their jobs in the new space. It’s expected that at least some current employees of iCandy will eventually be hired by Tabu, and that many Tabu employees will carry over to the new building. He said people should expect to see a lot of decorative changes to the club, even if the bones of the place are pretty much unchanged. For his credit, DePiano renovated iCandy several times during his tenure. In the last few years a complete overhaul was done in the first floor bar that opened up windows to the street and introduced new seating and other renovations, including a new electrical system.